The national leadership of the integrative health and medicine fields meets in Washington Sept. 29 to honor the contributions of retiring US Sen. Tom Harkin. 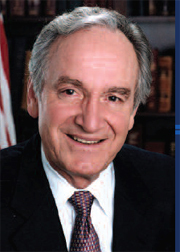 Harkin has been for two decades the leading voice on Capitol Hill demanding inclusion of integrative therapies in the country’s healthcare system. Among many initiatives, Harkin ensured that the Affordable Care Act included direction to the health insurance and provider communities that they include complementary and alternative and integrative practices and practitioners in the US health care system. IHPC has been most concerned about ending discrimination against licensed professionals that are represented by its Partners for Health — defined in the law in Section 2706 of the ACA; and in ensuring inclusion of integrative practice in community health workforce programs — defined in Section 5101. IHPC is a major benefactor for the Sept. 29 symposium and testimonial dinner at which Harkin will be honored. IHPC chair Len Wisneski is a moderator for the afternoon sessions and is, with IHPC executive director Alyssa Wostrel, a member of the event planning committee. Other IHPC members involved include Michael Traub ND, long-time IHPC at-large board member and chair of the non-discrimination committee, former Executive Director, Janet Kahn, MT, PhD, and IHPC board member Gerard Clum of Life University.